Beauveau Borie was born in Philadelphia on May 9, 1846, the son of Charles Louis Borie (Class of 1837) and Clementina Sophia McKean. 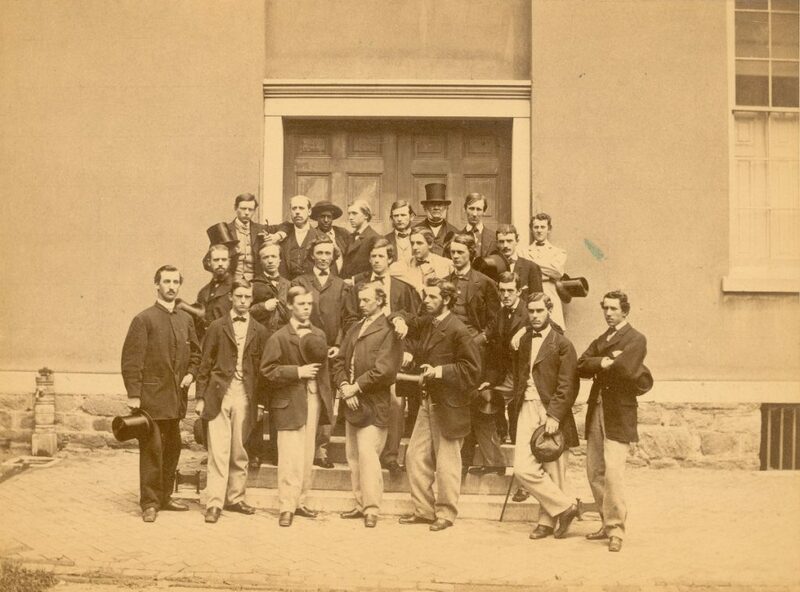 Borie entered the University in 1861 as a member of the Class of 1865. According to the 1865 yearbook, Borie was a member of the Philomathean Society and the Zeta Psi fraternity. As member of his class executive committee, Borie was a key figure behind Penn’s first Class Day. Legend credits Borie with originating the custom of choosing a “Spoon Man” in each class. He was a member of the Sophomore Cricket Eleven; and later, on May 7, 1864, he was an umpire in the cricket game between Penn and Haverford, famous as Penn’s first intercollegiate event. During the Civil War he served as a first lieutenant in the University Light Artillery. A manufacturer, banker, and broker, Borie was also elected president of the Philadelphia Stock Exchange in 1900. Three of his four sons attended the University, one of whom (Charles L.) became a trustee. His uncle, Adolph E. Borie was the secretary of the Navy under President Grant. His sister Elizabeth married a fellow classmate, John Thompson Lewis, Jr. Beauveau Borie himself married Patty Duffield Neill; he died in Abington on May 2, 1930, and is buried in Philadelphia’s Laurel Hill Cemetery.